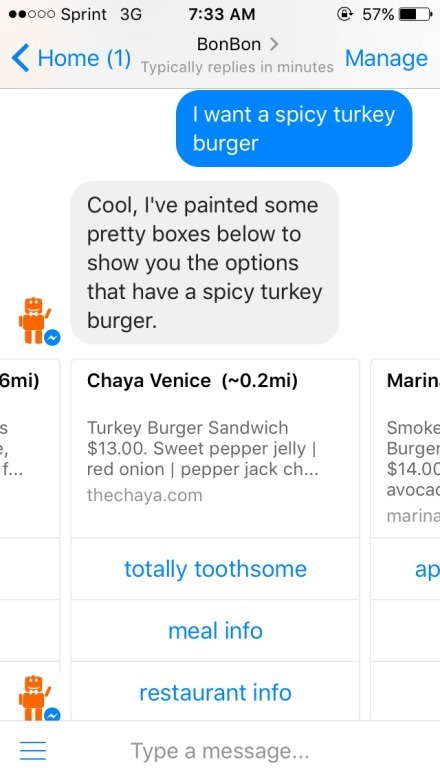 Foodies.ai is the creator of BonBon, the meal recommendation chatbot powered by a smart in-house AI. BonBon helps you quickly and intelligently find the meal that matches your taste. Let's say you are in Santa Monica and would like a spicy tuna roll. Your options are limited to websites and apps. These interfaces are ill-suited to efficiently assist users in finding meals. Traditional resources might respond with meals that are "spicy" or a "tuna roll" or even just "tuna" but may not find you a "spicy tuna roll." BonBon conceptually understands what a "spicy tuna roll" is and will use its AI to greatly increase your chance of finding one nearby. 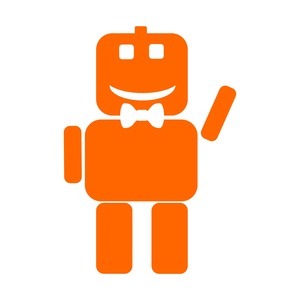 As a chatbot, BonBon also provides a more pleasant and natural user experience. BonBon is currently in public beta on Facebook Messenger and accessible at m.me/bonbonbeta We also plan to launch on the Kik platform soon. Following user growth, we anticipate that BonBon will derive revenue largely from online meal ordering and restaurant recommendations. Our team is composed of three co-founders who have created two products together previously, the Travelmooch and Sports Follower apps. Our CEO, Scott, enjoys tackling machine learning and NLP challenges. Our CTO, Nam, is an engineer with machine learning and NLP experience from Caltech. 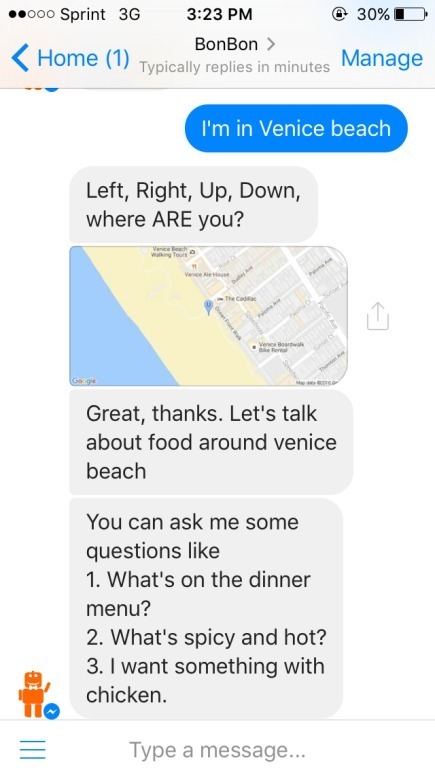 Foodies.ai is part of Travelmooch, Inc., which was founded in 2014. Onetime NY corporate attorney (JD, MBA) now enjoying developing products and solving UI issues in LA. Recent women's soccer convert (NWSL). Love a good English bitter. CEO of foodies.ai Start-up accelerator DreamIt Ventures alum. Williams College graduate. Generate revenue by receiving (i) a percentage of income from online food orders and restaurant reservations and (ii) fees from restaurants for customer insights data. 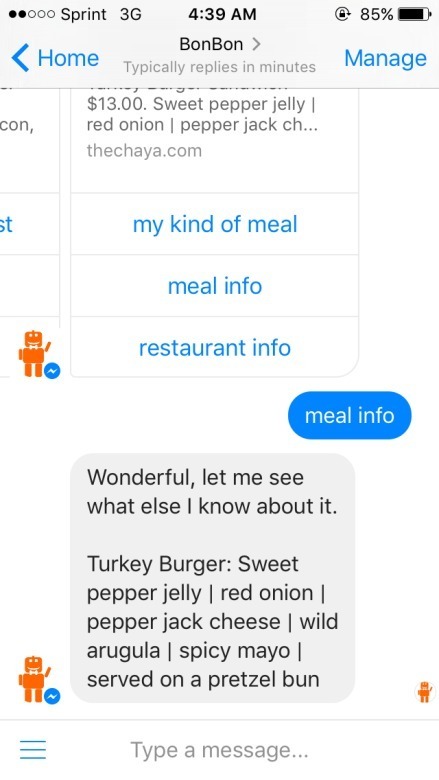 Utilizing a chatbot to provide quick, intelligent, customized restaurant meal recommendations.